It’s beginning to look a lot like Christmas in the Casavale home! The halls have been decked and we are ready for Santa Claus to arrive! 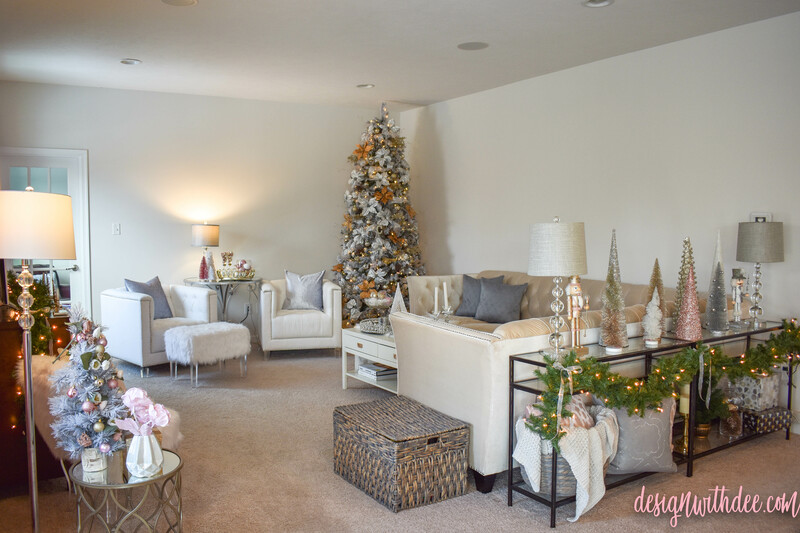 Today I’m sharing my favorite room of the house, the living room. 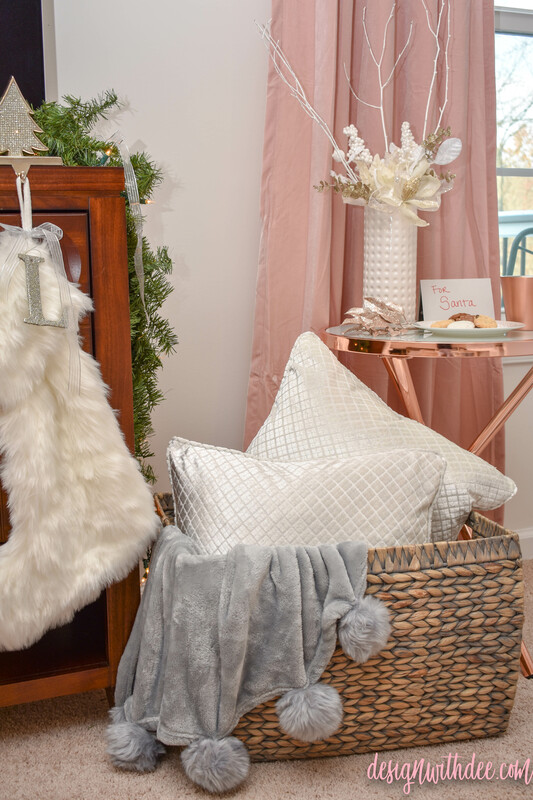 This year I added blush touches to champagne and silver decorations and I love the fabulous outcome! 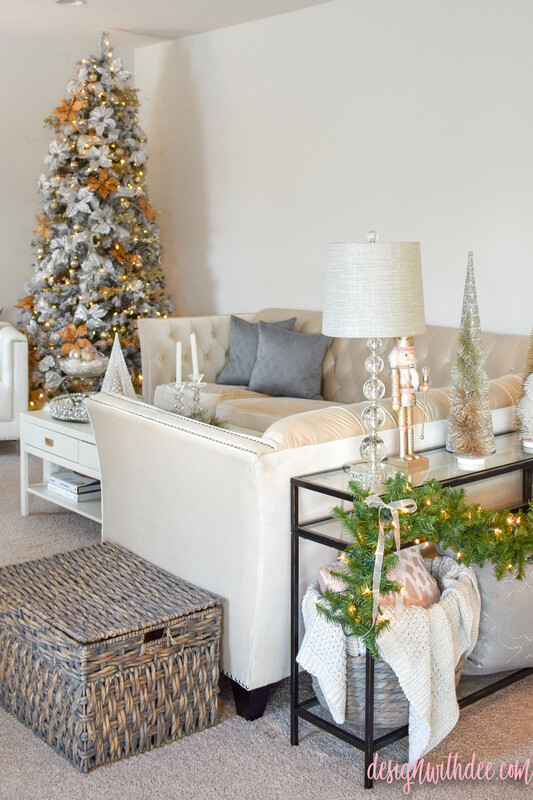 If you read my Prepping for Christmas post, you know I have been busy shopping and trying to create a new transitional-glam look in my living room. I love how it has come together, so far. 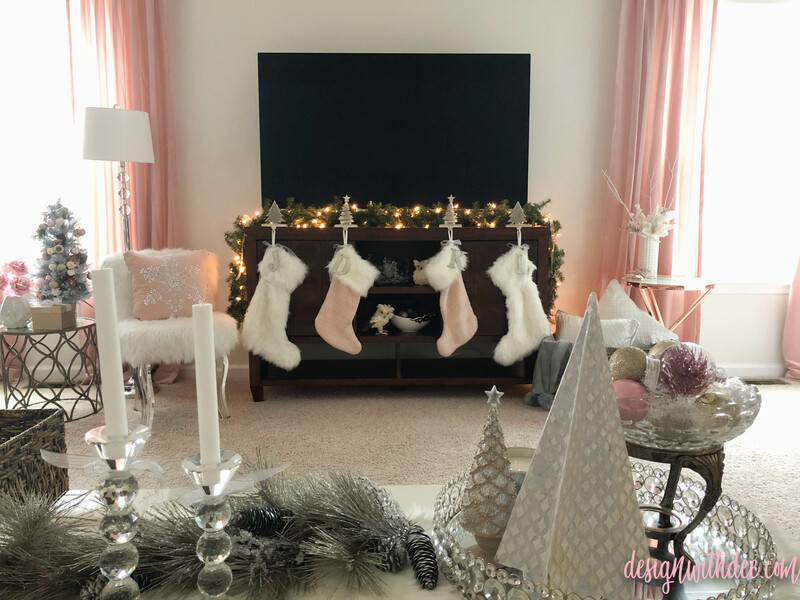 There’s still some work to be done, but I’m excited to share my progress and the glam Christmas decor that helps make the room so beautiful. 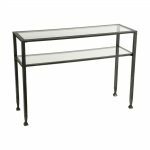 The first step of the process: find a furniture arrangement that is functional, conversational, and doesn’t close off the room. Our living room is a long room with only one full wall which makes furniture placement slightly difficult. But, after about three or four rearrangements, I finally settled on a set-up that I love and that easily accommodates our Christmas decorations. As you can see, our walls are still very basic. 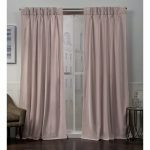 In fact, they’re still covered in builder-grade flat paint until I can find a color that will work throughout our home. I’m also looking to find a new way to customize them, probably with some moulding – but that’s a project for after the holidays. 😉 But, the new furniture is amazing and a great start to making this room homier. 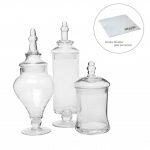 It’s also created lots of storage for baby toys, which we desperately need! I’ve loaded up on baskets and even the coffee table has convenient drawers where we store diapers and changing supplies. 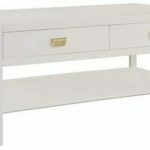 The new console tables (2 placed behind the couch to create one 84-inch long table!!) added great space to display some Christmas beauties. I absolutely love ALL Christmas trees! You’ll find my house styled with many many decorative table-top trees and of course, multiple 7ft-9ft frees (5 to be exact 😬). 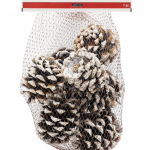 Last year, I decided to give up on the mess of purchasing real pine garland and trees for our house. 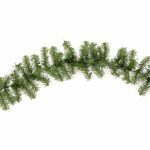 So I’ve stocked up on this green pine garland and placed it several places throughout my home. I love the look and it’s so much easier than using the real stuff. I usually wrap two strands together to make a much fuller look then add bows to make it pretty. 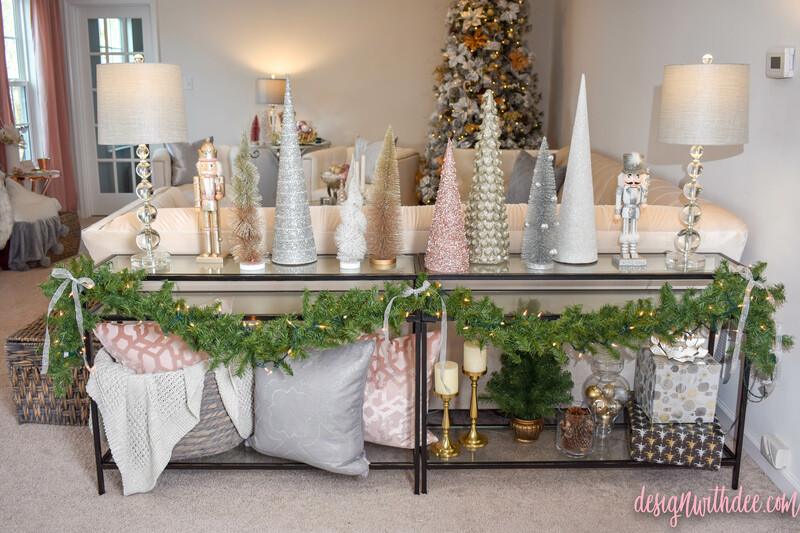 In my Holiday Planning post, I suggest using decorations you already own to create an easy new look for Christmas. 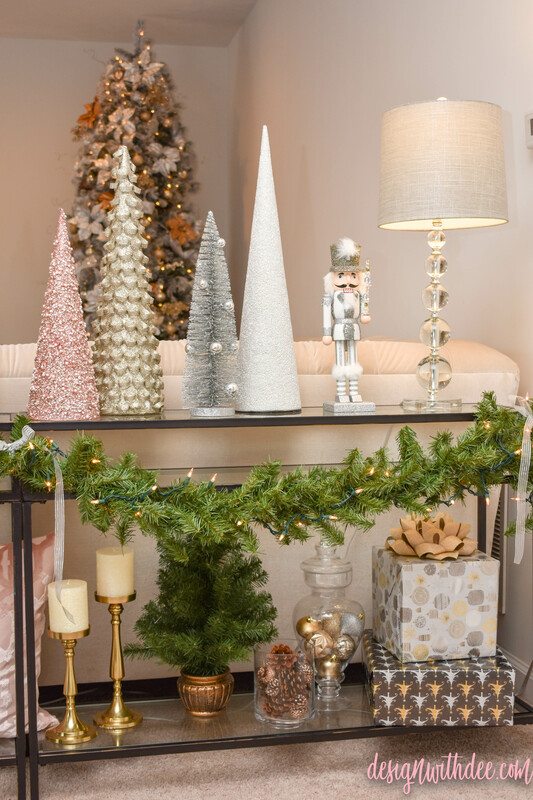 Here is an example of how simply you can create something beautiful for the holidays without buying all new decorations. I used an apothecary jar to display some of my favorite silver and gold ornaments and a simple glass vase to display decorative pinecones. 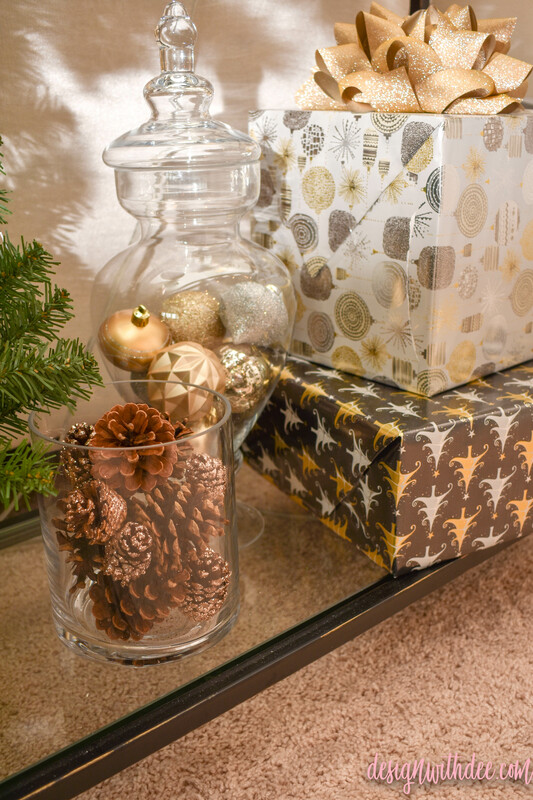 Also easy to do – wrap some un-used boxes with your favorite wrapping paper. Since we have no mantel in our living room, I had to be creative. 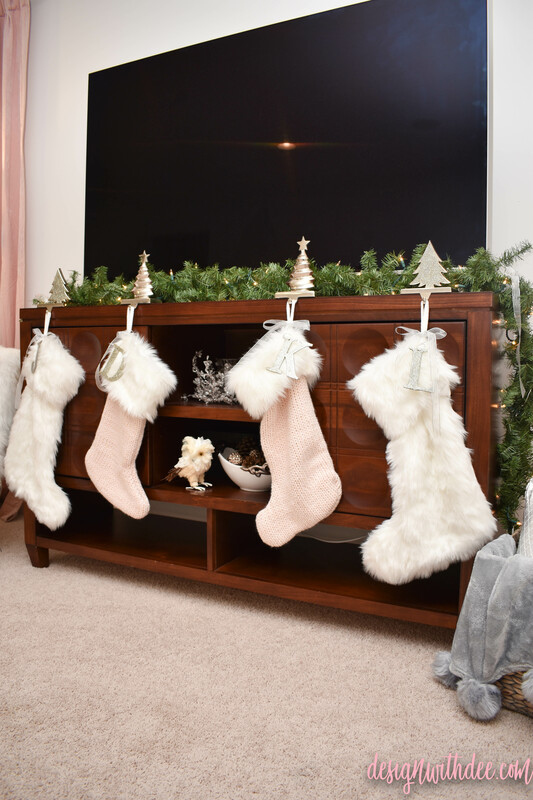 I almost hung our stockings on the console tables behind the couch, but I loved them on the entertainment stand. Now I can look at the pretties while watching TV in the evenings. 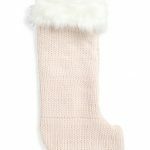 It always makes me happy to see the blush stockings I found this year for me and my daughter. So beautiful! On either side of the entertainment stand, I have added furniture and decor to help balance the massive TV. With my husband insisting on 65-inches, I needed to help build up the area so all attention is not on the ugly black screen. I love how it turned out! 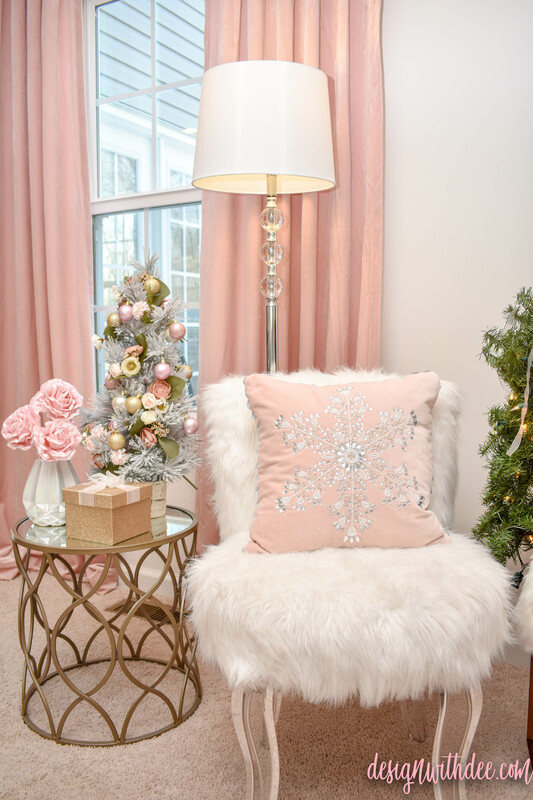 My favorite part, the beautiful blush snowflake pillow placed on my favorite fur accent chair! 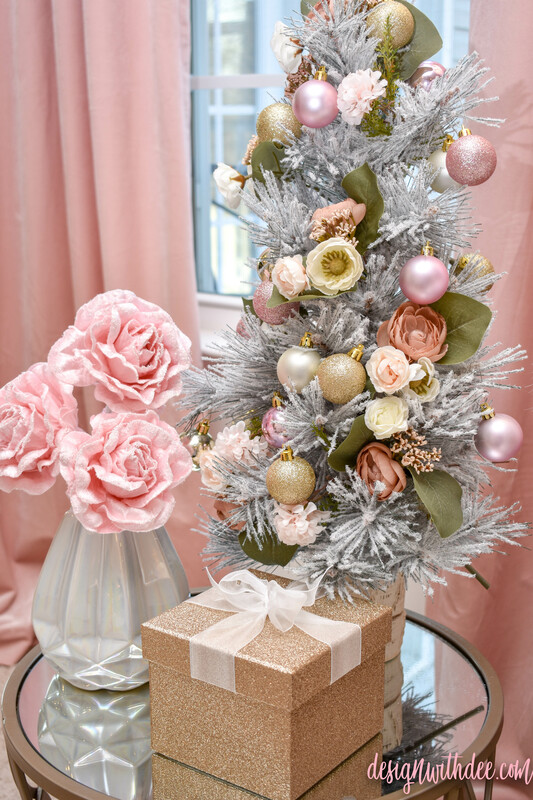 Another easy holiday decorating tip – add faux florals to a tabletop tree! 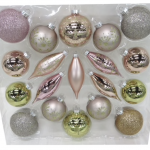 I used these florals in my fall decorations but the blush color matched my Christmas ornaments perfectly! 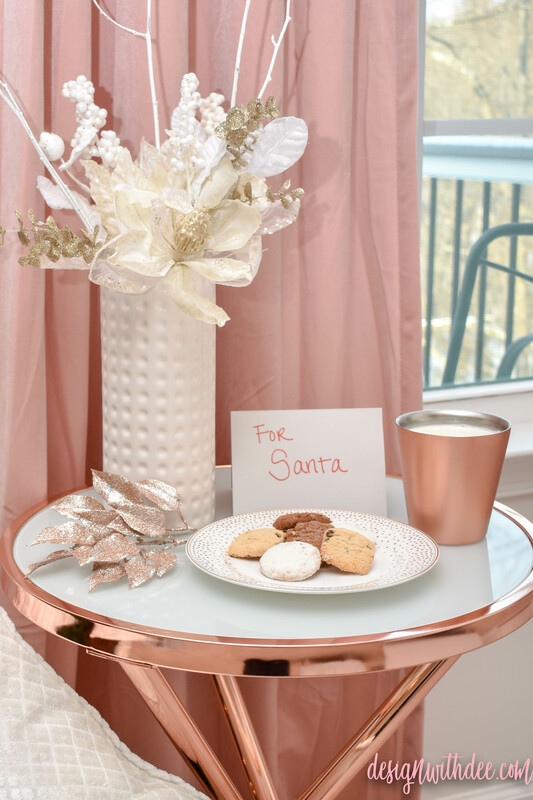 To the right of the TV stand, my new rose gold side table, perfect for Santa’s treats! The last new piece of furniture is the coffee table. 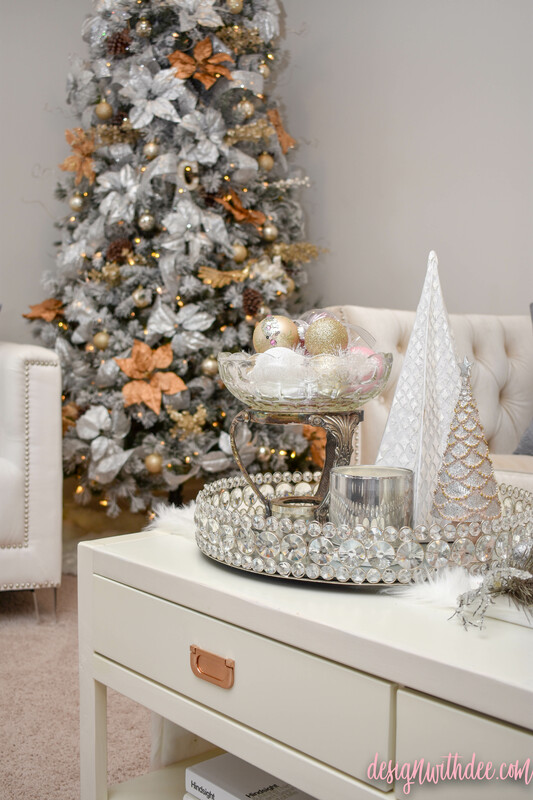 I’ve styled this area with more decorative Christmas trees and an heirloom silver-stand glass bowl, filled with my favorite ornaments, placed on my favorite glam tray! I added a fur table runner with garland, and candlesticks adorned with bows. 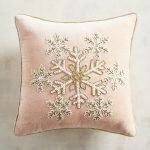 More simple ways to create a Christmas look with decor used year round. 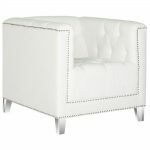 My white club chairs have a new look for Christmas. 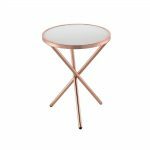 I had this small bistro table styled with these chairs previously but I had always thought the table was a little too high for the chairs. But, I’ve come to learn (after swapping out probably 7 different tables) this look is my favorite! 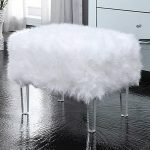 I just love this table between the chairs! There’s lots of room for the new lamp (repurposed from another room in the house) and Christmas decorations. As you can see, I have yet again added ornaments to standard everyday items lying around my home. 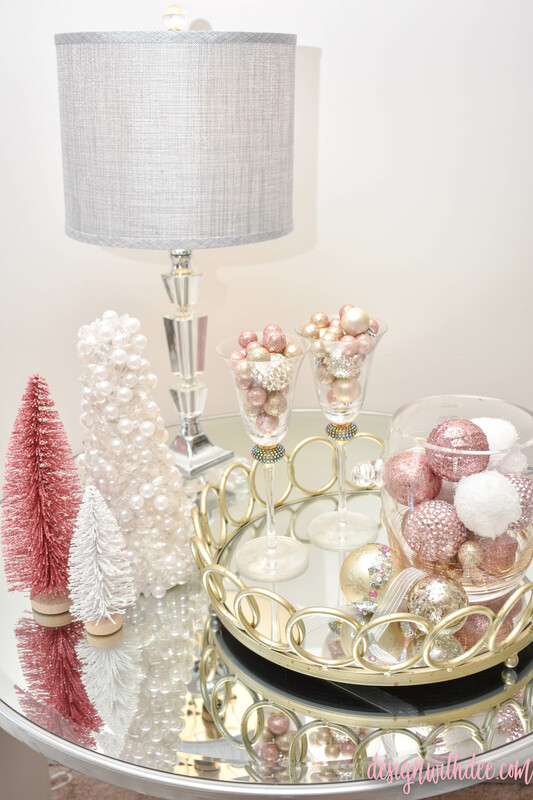 An ice bucket and champagne flutes hold more of my blush ornaments. 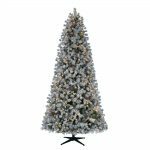 Finally, let’s talk about my Christmas tree! 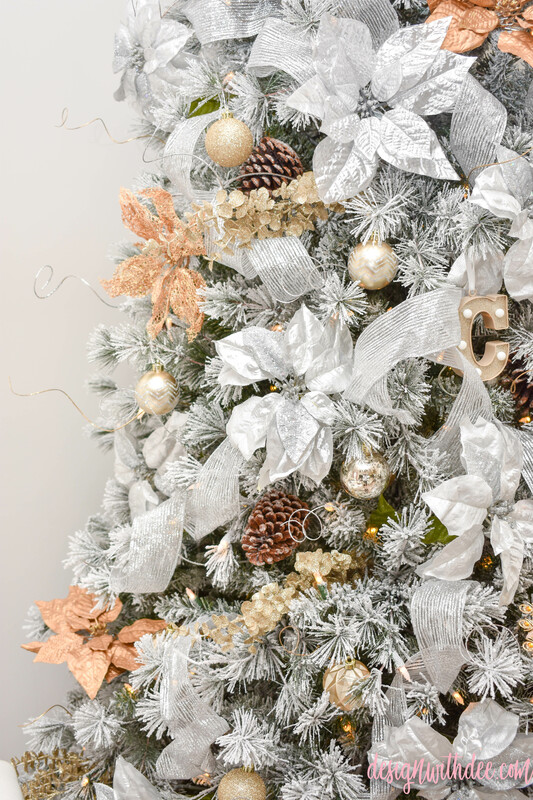 This year I used silver and gold ornaments and picks on my flocked tree. I purchased this tree last year at Home Depot and I have not been disappointed! 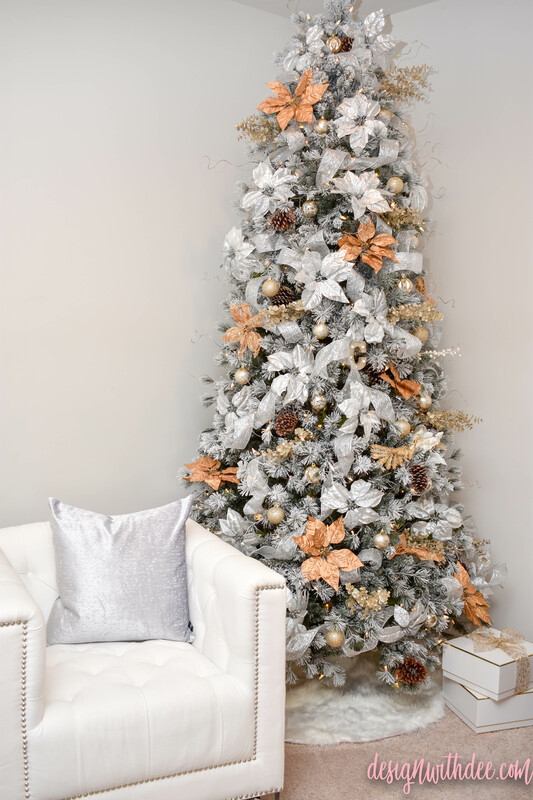 The branches are so full and fluffy and the flocking helps to create a “filled in” look without having to cover every inch with ribbon or ornaments. I absolutely LOVE this tree. If you are in the market, take a look at this one. 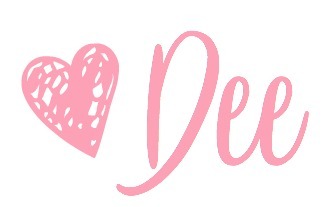 You will love it, too! 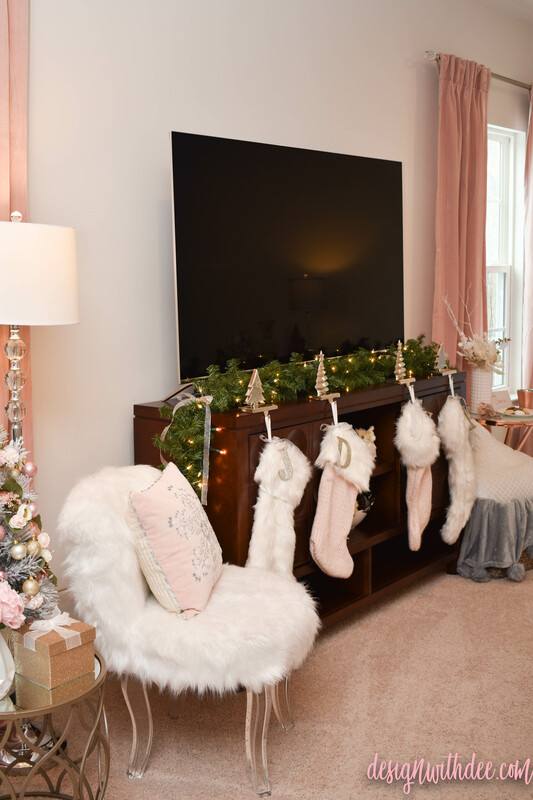 I hope you enjoyed my Christmas Living Room tour and you found some ideas that you can use in your own home. Remember, keep it simple and use decor you already own. 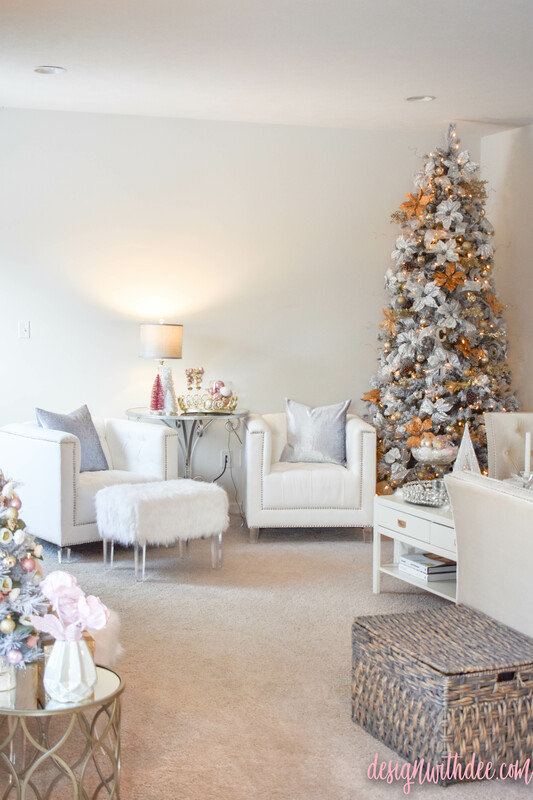 Add in small things like ornaments and bows to change the style for Christmas. Stay tuned, I’ll be sharing the rest of my Home Christmas Tour soon! Scroll and Tap on the Picture to Shop the Post! 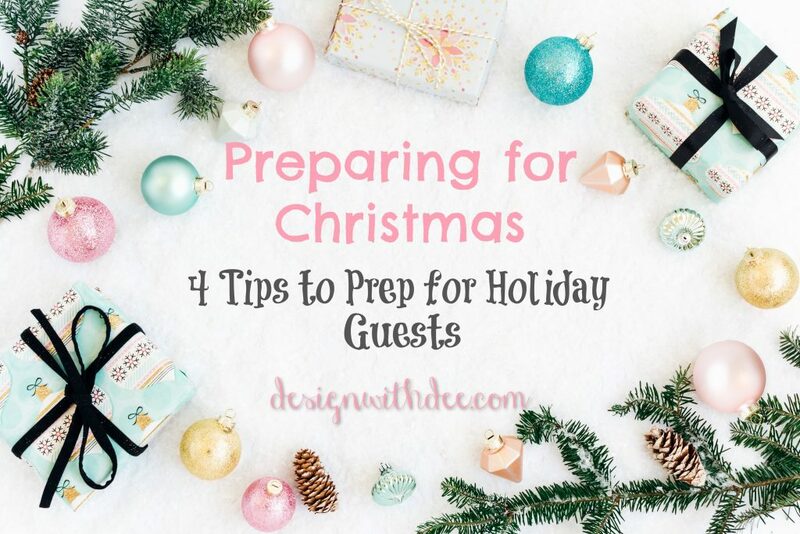 Learn how to prep for guests during the Christmas season!